The question of the expansion of housing has always been andIt remains relevant for the majority of our citizens, because everyone wants to have their own area, where they could be alone, where it's always warm and cozy. 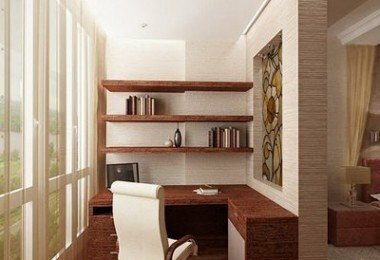 To create coziness and comfort in your own home can be a variety of ways, one of which is the insulation of residential premises. Of particular relevance now acquired heated floors. 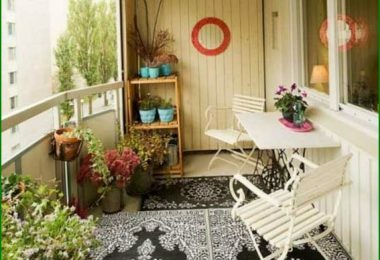 So, on a warm floor balcony provides plenty of opportunities to create the desired atmosphere. 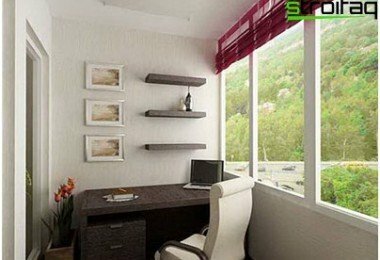 Today, more and more widely used ideasAssociation of bedrooms, kitchens and living rooms with balconies or loggias. 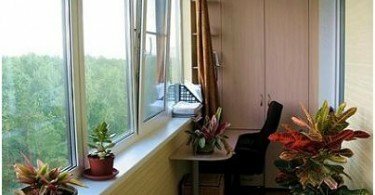 Often, when a sufficiently large terrace area can be easily converted into an office or arrange a winter garden there. In such cases, the new room is necessaryadditional heating. As a rule, the heat from the central heating battery is simply not enough, and there is a question about the additional heating. The floors in the loggias and balconies are usually much colder than the floors in the apartment. This is especially noticeable in the cold winter. The most convenient, modern and affordable solution to this problem would be the installation of underfloor heating on the balcony. 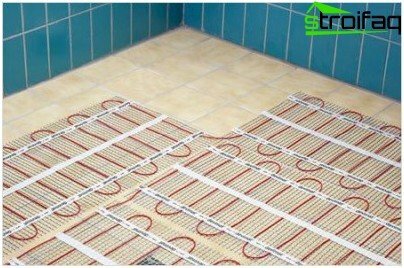 Cable heating systems, which can play a role as an additional floor heating system, and the basic premise of the heating system (single-core or two-core heating section). Radiant floor (film) - a special floor heating system based on the far-infrared radiation. 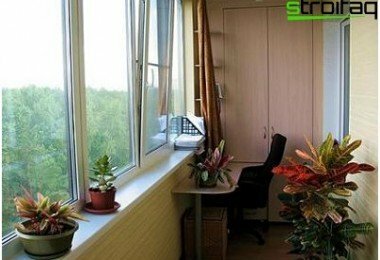 In addition to the heating mats for additionalbalcony heating used infrared film floor, which is the principle of long-wave radiation component of heat rays of the solar spectrum. That is, the heat rays lie at the basis of infrared heating. During operation, the system's rays heat the roomfull: not only flooring, but also the walls, furnishings that giving a secondary heat form the most comfortable temperature in the room where there is no possibility to heat the air. One of the main advantages of infrared film floor is their compatibility with any finishing absolutely flooring, whether linoleum flooring, tile or carpet. The advantage of heating mats is that they can be mounted directly into the adhesive composition itself, which strengthens the tile. In order to put these mats, you need a leveling layer, ceramic coating or concrete base. Immediately after curing of the adhesive composition can proceed to the installation of underfloor heating. The disadvantage of such a system is a considerable riskto subject it to mechanical damage in the process of laying the floor covering, as well, while moving the working material. Possible damage and as a result the fall on it of a heavy object. In addition, the considerable lack of heating mats is their inability to keep the warmth. This leads to the fact that the heating mats can be used only as an additional heat source. As a single core and two-core cablesections, mounted only with a cement-sand screed. This binding element is the presence of a layer of waterproofing and insulation quality, the lack of which will inevitably lead to the loss of most of the heat downward. 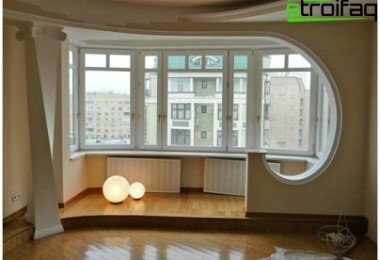 In this case, the neighbor will be heated from below the ceiling. Layer Arrange cement-sand screed musthave a thickness of not less than 45 mm. Furthermore, there should be no air gap. The main heating cable coupler is arranged in a depth of at least 30 mm. 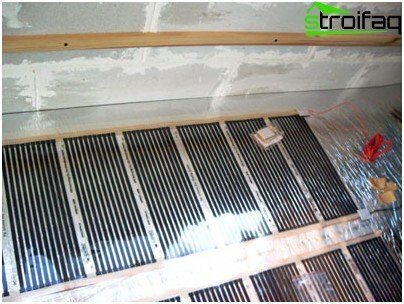 The best heat conductor among the final finishing materials, which are coated floor heating, a tile. On this floor it is quite possible to walk barefoot, but for people with poor health, children and the elderly as a finish coating is ideal for flooring. 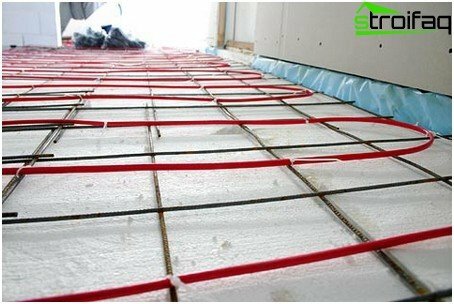 After installation of this type of underfloor heating system must wait until the final solidification of ties, which will take place in about 28 days. Only after that heated floors are suitable for normal operation. In the case where the laying of floor heating using cement-sand screed is inappropriate, for example, due to the inability to achieve sufficient thickness to 45 mm for the installation of floor heating system uses heating mats. 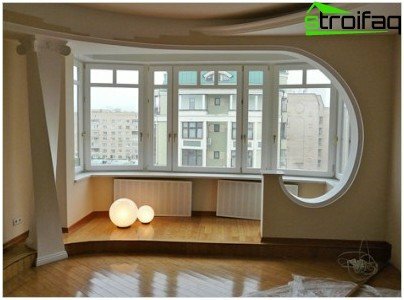 Thus, currently underfloorgreat act both as primary and as an additional source of heating not only the flooring but also the entire room balcony or loggia in general, always creating a comfortable and welcoming atmosphere. In this room it is always a pleasure, not only to go to, but also proud to have guests.